Novel Aspects of Insect-Plant Interactions Edited by Pedro Barbosa and Deborah Letourneau This volume represents the forefront of two rapidly advancing areas of ecology: three-trophic-level interactions and the interdisciplinary field of chemical ecology The book focuses on the role of microorganisms as mediators of interactions between insects and plants, providing critical appraisal of studies and suggesting ways to integrate competing hypotheses of insect-plant dynamics. 1988 (0 471-83276-6) 362 pp. 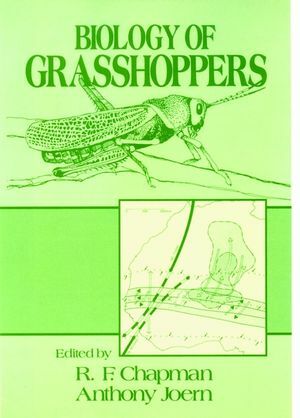 Arthropod Biological Control Agents and Pesticides Brian A. Croft Examining the effects of pesticides on predators and parasites and exploring methods for reducing negative impacts of pesticide use, this book focuses on the interaction of pesticides with entomophagous arthropods. It surveys the history of research in the field and discusses susceptibility assessment, lethal, sublethal, and ecological effects of pesticides, and selectivity, resistance, and resistance management. 1990 (0 471-81975-1) 723 pp. Lepidopteran Anatomy, John Eaton This single-source treatment on the anatomy of Lepidoptera provides a detailed exposition of its anatomy plus all its life stages, including the larva and adult forms of the exoskeleton, musculature, organ systems, and specialized structures. As the only thorough examination of the morphology of this insect group, it is an essential acquisition for entomologists, morphologists, and insect physiologists. 1988 (1-05862-9) 257 pp. Integrated Pest Management Systems and Cotton Production Edited by Ray Frisbie, Kamal El-Zik, and L. Ted Wilson The most complete and authoritative work available on the subject, this book brings together information on integrated pest management strategies that are applicable to cotton. It addresses economic, agronomic, and biological factors of pest management and focuses on plant resistance to pests and the genetic rationale for improving plant health. 1989 (0 471-81782-1) 437 pp. About the editors R. F. CHAPMAN is a researcher and professor at the Division of Neurobiology of the Arizona Research Laboratories at the University of Arizona in Tucson. ANTHONY JOERN is a professor at the School of Biological Sciences at the University of Nebraska in Lincoln. The Chemoreceptors (W. Blaney & M. Simmonds). The Pattern of Feeding (S. Simpson). Nutrition (E. Bernays & S. Simpson). Grasshopper Thermoregulation (M. Chappell & D. Whitman). Jumping in Orthoptera (H. Bennet-Clark). Hormonal Control of Flight Metabolism in Locusts (G.Goldsworthy). Flight and Migration in Acridoids (R. Farrow). Territory-Based Mating Systems in Desert Grasshoppers: Effects ofHost Plant Distribution and Variation (M. Greenfield & T.Shelly). Pheromones and Phase Transformation in Locusts (W. Loher). Grasshopper Chemical Communication (D. Whitman). The Endocrine Basis of Locust Phase Polymorphism (J. Dale & S.Tobe). Population Dynamics and Regulation in Grasshoppers (A. Joern &S. Gaines). Pathogenic Diseases of Grasshoppers (D. Streett & M.McGuire). Color Pattern Polymorphism (J. Dearn).